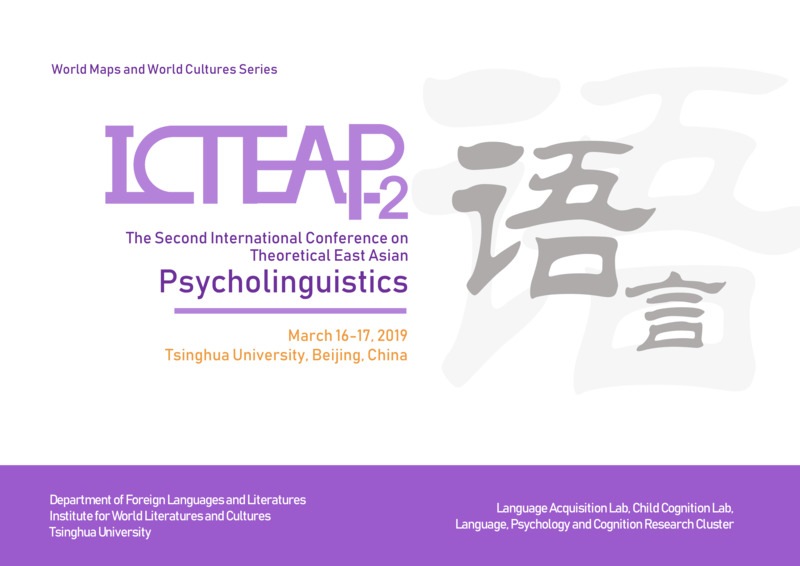 The International Conference on Theoretical East Asian Psycholinguistics (ICTEAP) intends to promote dissemination of state-of-the-art findings in psycholinguistics, with emphasis on research that has cross-linguistic implications and empirical work that refers to East Asian languages, following the spirit of The Tokyo Conference on Psycholinguistics (TCP). 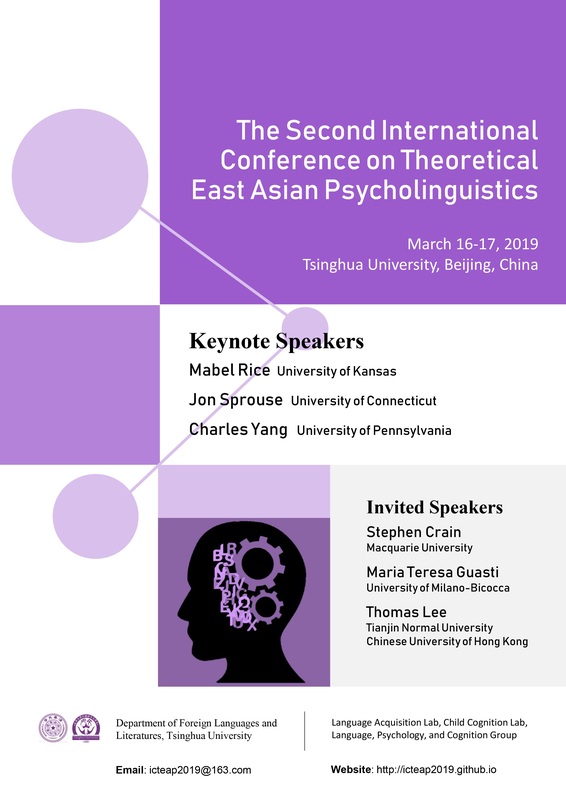 The Second International Conference on Theoretical East Asian Psycholinguistics (ICTEAP-2) will be held on March 16 to 17 at Tsinghua University, Beijing, China. The conference invites submissions of papers in any area of L1 and L2 acquisition, (bimodal) bilingual acquisition, language processing, and cognitive neuroscience of language, among others, as well as theoretical studies (in phonology, morphology, syntax, semantics, or pragmatics) that have implications for “Plato’s Problem” (“How can we gain a rich linguistic system given our fragmentary and impoverished experience?”). There will be a special session on ‘Perspectives on Language Acquisition’. In light of the special session, acquisition studies from different paradigms are especially encouraged. The program is out. Check it out!